Nine inspirational workshops that will transform the energy of your life and your home! At the Koorana Centre, Ardingly RH17 6UB £45pp per workshop to include notes, materials and your piece of artwork to take home. 10am-4pm. With Spring just around the corner it’s time to focus on energising your health and family connections. It’s the time of new beginnings in the cycle of seasons, when new growth appears. Join this exciting one-day Creative Feng Shui Workshop to learn about colour therapy, dowsing and the wood element. Create an altar for new beginnings. Make a Sun/Moon Mirror to support your health plus a colour divination wheel to attract health, wealth and happiness. In this exciting workshop you will focus on manifesting wealth and abundance in your life and learn how to energise this gua within your home. You will learn about crystal therapy and go deeper into the wood element. You will create an outside altar to connect with the Devas of your land/garden, use a crystal grid for manifestation, enjoy a meditation to connect to the land and trees and make a crystal cascade for the inside of your home. This workshop will provide a closer link to your primary element and to your core values. I will share the basics of 9 Star Ki astrology, so you understand how the elements affect you and the relationships that you have. You will study Yin and Yang and focus on healing your home and your land/garden. During the day you will consider what to put on a personal altar, enjoy a meditation to balance your Yin and Yang, understand relationships through the elements and make a personal mixed media collage which will support and energise your primary element connection. When it’s time to call in more support, this is the perfect gua to energise. You will focus in the practice of distance healing, guidance and gratitude, and supporting the Masculine. You will also learn about the metal element. During this experience you will create a global altar and vision board, enjoy a meditation for greater peace and harmony within you and your home, and begin a personal creative journal with ‘pockets’ of inspiration that you can continue to work on in your own time. When you really want your creative juices to flow, this is the space you need to work upon. Devote your attention to clearing any creative blocks you may have and harmonise your relationship with your children and your own inner child. 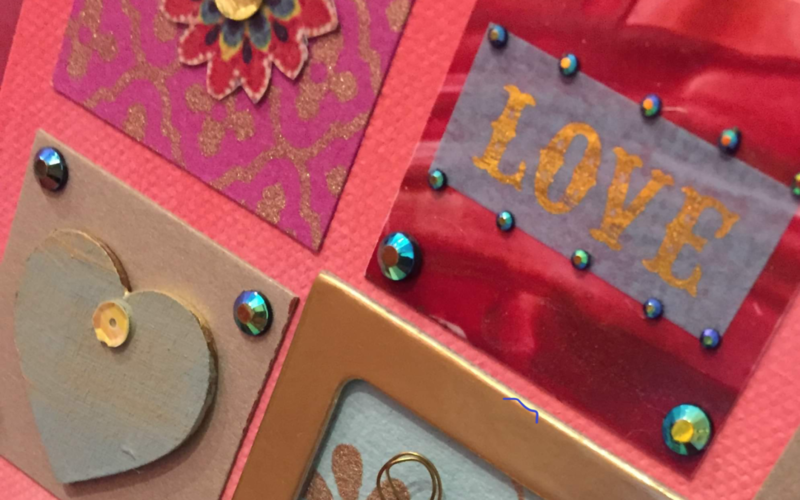 You will go deeper into the metal element and make a colourful magnetic affirmation board to take home. In this workshop you will truly tap into your creative potential and find confidence and clarity to reveal your unique personal expression. With a focus on ancient sacred geometry, this workshop will inspire you to connect to your garden, to nature and to the earth element. You will create an altar to connect to your angels, guides and spiritual helpers, experience a spiritual journey, lay the Bagua over the land and make decorative pieces for your garden. Using light therapy and the element of fire you will create an altar to celebrate your dreams and passions, meditate to connect to your inner flame, understand how to use mirrors and portals in your home and garden, connect to power spots and create some sacred lighting for decoration. In this workshop you will connect to the benefits of sound therapy, learn moon rituals, immerse yourself in the water element, and focus on practices to help you release and let go. You will create an altar to celebrate purpose and legacy, meditate to go with the flow and make a simple water feature for your home or garden. It’s time to really support the Feminine and learn to connect to the earth element in a deeper way. In this experience you will create an altar to attract a partner and/or bring harmony into your relationships, meditate with a sacred flower, make a mixed media mandala or piece of artwork with symbols to attract harmony in all of your relationships. Preparation exercises, a meditation to connect to the Gua, learning how to create an altar and laying of the Bagua, plus notes and materials. Basic one-to-one advice will be given on your personal space and you will make a creative piece to take home. Please bring your lunch, a notebook, a pen, a rough floor plan of your home, plus a few coins (any denomination) for the Red Envelope practice at the end. All workshops will be offered on further dates and there is no requirement to attend all nine. Just book those which resonate with you at this time.